I've had so many clients, family and friends ask about my girl's eyes. She's been such a trooper. This has been such a journey for all of us, I'd love to share what we've experienced, because I feel like there is hardly any light shed on this extremely common issue. This is my daughter, Violet, and she suffered from blocked tear ducts. When we first got her home from the hospital at birth, we could tell immediately that her ducts were blocked. They were swollen, red, and oozing almost immediately. We tried massaging them, breast milk, warm rags, you name it, we tried it! 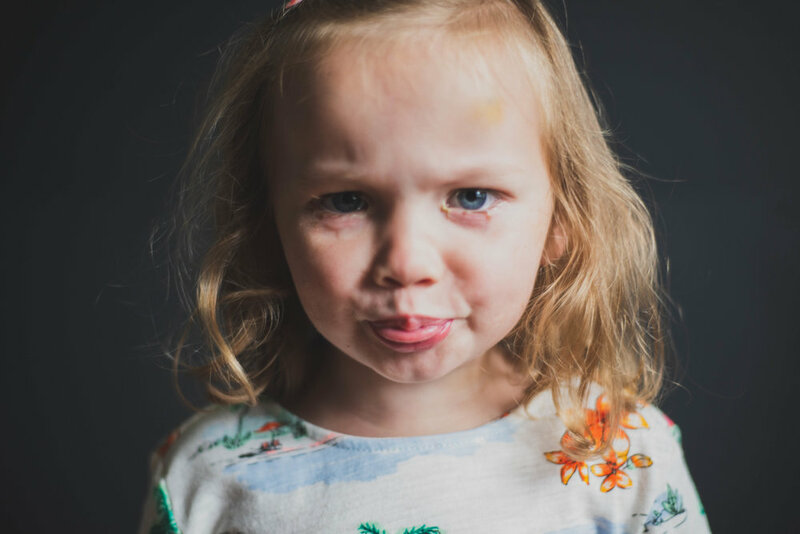 Every couple of months we would be back with our nurse practitioner who would give her eye drops to help the swelling and oozing, and it really did help! Sometimes it would even clear it up for weeks at a time, but it would always seem to make its way back. Her eyes would water constantly. We'd be out in public and someone would always say, "oh no, why is she sad?" My heart was always broken that the first thing people saw was a sad girl, because the reality of it is that she was (and still is) one of the happiest kids I've ever known. Then, at 18 months, it went away. She woke up one day, and there were no "oogers" as we call them, and she wasn't swollen anymore. It was so amazing to see my beautiful girl without constant tears. This continued for about 5 months, then right before her second birthday, it came back. And it was so much worse than it had ever been. We made an appointment for a specialist, and our insurance gave us problems and we were unable to keep our appointment. 8 long months went by, we finally got our insurance to cover the appointments, and we got our girl in to see the specialist. He recommended surgery, for which we are so thankful. The surgery itself was so quick. We spent 5 hours at the hospital and then we were done. In just a few days we saw such a dramatic change, and she seems like a weight has been lifted from her. She continues to improve and we're hopeful that this will be a permenant fix!